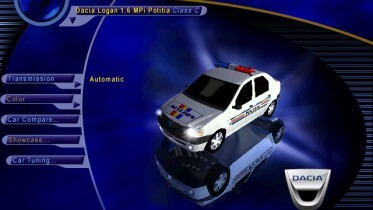 This is a Dacia Logan 1.6 MPi Politia, the successful low-cost car produced by the Romanian car manufacturer Dacia since 2004,, used in Romanian police forces, now available for Need for Speed III. 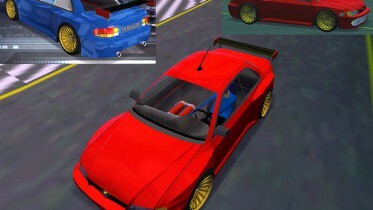 This model is not mine, since it is a conversion from Need for Speed IV: High Stakes of the same car created by mk2 and Radu-Cristian, so I give credits to them. 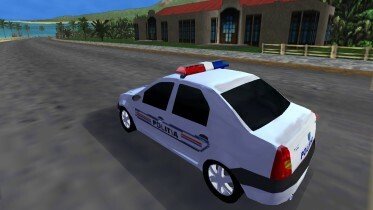 This car has realistic performance, steering and rolling and is available in all supported languages, but it is not a very fast car, so I advise you to use it in pursuits against the other Dacia that you can find in the brand category Dacia of this site, which have similar performances. To install it put "dlgp" folder that you find in the downloaded Zip file into "C:/Program Files/Electronic Arts/Nfs3/Nfs3/Gamedata/Carmodel". A slide is also available named "20_00.qfs", that will appear on the screen before every race, to insert in the path "C:/Program Files/Electronic Arts/Nfs3/Nfs3/Fedata/Art/Slides". 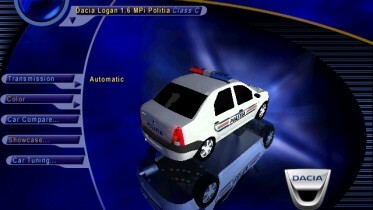 In the zip file you will also find a folder called "pursuit", put it in this path "C:/Program Files/Electronic Arts/Nfs3/Nfs3/Gamedata/Carmodel/Traffic" replacing the already existing "pursuit" folder and you will be chased by many Dacia Logan 1.6 MPi Politia in Wanted mode. 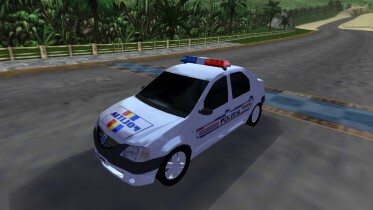 If this version of the Dacia Logan Politia seems too slow on this site you will also find the sleeper version, with Renault Clio V6 engine, much more powerful of the stock version, with which you can launch yourself in pursuit of the official class C cars of this game. Visit my Youtube channel "Opus IV Gamer" (https://www.youtube.com/channel/UCoIje9MbCb2TOtrMmGttYNg) to see a lot of videos that I made on Need for Speed III Hot Pursuit and don't forget to subscribe to it for new coming videos.